In the past, if you simply showed up with a license to sell real estate and adequate knowledge of the market, you could take listings no problem. But times has changed and we’re going into a market where the consumer has access to tons of information and are expecting a lot that a single agent can’t deliver by him/herself alone. This shift created 3 groups of agents in the industry. Group 1: those that start something and then stop when things get tough, Group 2: those that start then stop and start up again but stops again, then there are those that in are Group 3: these agents are consistent and persistent to doing what it takes no matter what obstacles are in front of them. For this episode of REal Success, Bil interviews Eileen Rivera: a closer, the leader of a successful real estate team, a Tom Ferry coach, an active member of the Long Beach, CA community, a family woman, and a Group 3 rockstar! Eileen speaks on ways to grow a successful real estate team by having a powerful morning routine, weekly planning, and great customer service. Bill Pipes: Welcome to REal Success Eileen! You’re both a Tom Ferry coach and client, so you have an interesting perspective of both sides. Let’s just get to it, in 2012 you closed 50 transactions and a year later, you closed 83–please share with us how you were able to grow your business in just one year. Eileen Rivera: I was in a good place in 2012, but I remember that year Tom started talking to all his coaching clients about team building, creating a team that outperforms you. At the time I thought “I don’t know anybody that’s willing to do what I do.” But I trusted Tom’s direction and it’s been phenomenal with a huge jump in transactions from 2012 to 2013. The following year we did 90 transactions. 2013 was a quantum leap for us and 2014 was all about stabilization, having the right admin in place, putting the right systems in place, the checklist, the accountability and coaching component for the team. Now in 2015, we will have 30-35% growth. It’s planned. It’s systematic. We know how we’re going to get there because we’ve taken the mystery out and it’s just about following the systems. BP: Nice uh and this year, I mean it’s interesting because I look at 2014, you got all the right people in place. BP: You worked on the team, um, really I look at 2015 for you. I mean the goal is a 125 homes sold, going from 90 to 125. Do you think this, do you believe that this is the year that your team will outperform you? ER: Oh absolutely, at even even last year, we were pretty much at that place, so certainly this year uh that that’ll happen. They’re phenomenal. BP: Good and you know, so today and Eileen as you know and for every- for all of our listeners, the goal out of this program is that we bring you real agents like Eileen, having you know sharing their their real strategies, so that you can actually have the success, in seeing the real success that they have. And as we all know, if all that we do is identify people that are succeeding at a high level, I mean anyone would love to have this growth. Um and and we identify their strategies, we just have to duplicate it. And we could duplicate their results by duplicating the strategies that they use as well too. Uh, so Eileen I commit today that everyone who’s listening here because I’m sure we’ve all been through, we’ve experienced, you probably been through it, this time of the year now, three, four weeks into January, it’s sort of like the the newness of the year has worn off um and the reality of this is going to be 10, 11 months more of hard work to be able to hit our goals. Then, um, I want them to walk away and I want all of our listeners, for you, to walk away with three or four phenomenal strategies that can create consistency, so that you can keep going when everybody else stops because if you can keep going , where everyone else stops, you are going to win the game. So Eileen, is this normal, do you feel it’s normal for for people to be feeling a little bit of this potentially, that “Oh my gosh, this is got a little work harder, I’ve got busier.” Can you talk to us a little bit about that if you would please? ER: I see it all the time and of course I’ve experienced it. I so appreciate what you said at the very beginning Bill in in your presentation, you know the roller coaster, don’t make it wrong. It’s okay. Getting busy is a good thing, so to me, it’s constantly when you look at, when all the agents out there listening to this, look at their business. It’s how do you build that consistency and to some degree, I think there continues to be a roller coaster whenever there’s growth and you have big ambitions, just make sure that it’s continually happening at a higher level, right. So if you are an agent who consistently wants to do three transactions a month, like you never want to do less than three, well then create the roller coaster being, “Oh my gosh, I did three this month and five next month and four the month after that and then I’m back to three.” Right, so it’s all about improving and building uh something that for you, for each individual agent is a minimum standard. BP: Awesome, I love that idea. I you know I really think that you’re onto something there where if we look at and say, “Okay, great my height was three transactions a month or two transactions a month in 2014, I’m now going to make that my minimum standard that’s going to be the bottom level of the roller coaster itself, right.” So so a mental shift in terms that. So tell us what do you do to keep yourself as you know at a high level of motivation throughout the year? What are some strategies that you found work well for you uh to keep yourself moving forward? I can’t get up tomorrow and decide, I’m going to run a marathon, but I can get up tomorrow morning and decided that from now until my very last day um on this earth, I’m going to do affirmations. That’s just, it’s not hard, like, there’s no excuse to not be doing affirmations every day, all day. BP: You know I love what you just said Eileen is um you know in all the interviews that we’ve had, we had Tim Smith last month. Tim Smith said, yes, he’s controlling what’s going on in his head every single day. Tom Tool, the great expired king, right, of Philadelphia, same thing. He say, “Hey, not only am I practicing my scripts, I’m practicing what’s going on in my head.” Give us like a three or four step process that we could use like this next week or even tomorrow that would or maybe that you use that would just get us in like that level 10 mindset to be able to take on the day? ER: So what- whatever your goals are, whatever you designed in your business plan, take a minute and look at those things and create affirmations around that. So you know one of my affirmations again and it’s not, I have a morning routine that I do. I do my 10-10, I think almost everyone’s familiar with that on this call, but if not, it’s I write 10 things that I’m grateful for and 10 things I want to attract into my life. Tom taught me that. I added a component of five things I’m committed to because there’s a difference between you know that clarity, the intention and then what am I in charge of. So I I put down five things that I committed to. One of my things I’m committed to every day you know is perfect follow-up, perfect follow-up, you know it’s it’s a game-changer. So wh- back to looking at the business plan, when you look at the business plan, what are your goals? 75 closed transactions, 25 closed transactions, turn that into an affirmation. If you say, this year, you say thousands of times throughout the year, “I will close 25 transactions this year, I will close 25 transactions.” I mean really over and over again and I know somebody’s got to be listening that’s resisting because I did once upon a time. Try it for a year. Try it for a year. It’s it’s engaging. BP: How about we even just, even if we just get them to try it for seven days or two weeks, right? BP: Affirmations. You got your 10-10 process, you’re writing down 10 things you are grateful for, 10 things that actually uh that five things that you are committed for to, right. ER: Whether I’m in the supermarket, in the bank, talking to a coaching client, there is opportunity everywhere, pay attention, seize it. BP: And see if you’re not affirming that you’re not going to be able to pick up on it. BP: You’ll actually just be going through your day and your reticular activating system that little portion of the brain that point things out won’t pick it up, I love it. So this whole morning routine I think is fantastic. I think it really sets the stage. So let’s, so there there’s number, the, I mean, absolutely, how about this, I’m busy now, okay. My my first three weeks, maybe as a little bit busy in the year, I’ve now gotten busy, ho- how a do I manage this all? How do I, how do I still stick with what I committed to, maybe it’s like my, doing my daily prospecting, my lead follow-up okay? Um, how do I still do those basic things now that I’ve gotten busy and I got more transaction and you know my time is getting crunched? ER: You have to, again, it’s minimum standards, right? For every part of your life, it’s minimum standards, so if you’ve gotten busy then and you’ve fallen off on the prospecting, are you, the clients that you’re busy with, are you asking them for referrals? The deals that you’re closing, are you asking them for referrals? The open houses that you that you’re running around at, are you there just like your mindset is, “Because I told my seller I was going to do this,” or is it about opportunity? 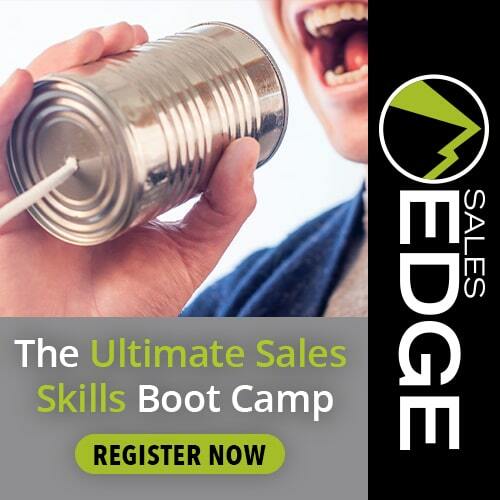 Who am I going to meet, who am I going to be able to help, who’s going to be listing lead. So again it’s that opportunity and if you’re, if you’re busy, one of the things that you absolutely owe it yourself to do is one day, for me it’s Sunday, you look at what’s happened this week. What what happened the last seven days? You have to stop long enough to critique, evaluate because as much as we have checklist, you know checklist for our systems, we have daily accountability checklist for our teams and our prospecting, I think one of the most important things that we need to look at in our calendar is not what to put in but what to eliminate. And and that’s that’s where you develop some balance when priorities. You know you’re not, you shouldn’t be eliminating talking to clients. The one thing you can’t outsource is you, is the gift and the talent that you have, so that needs to be used in your number one priority area, whether that’s being a lead generator, a CEO, a team leader, you know a rock star listing agent. What what is it that you’re best at that’s a straight line between you and the paycheck, of course helping clients at whole, you know the whole way along that line that’s what you have to be doing. at I’ve been doing for years. I think I got it from Tom years ago and he said, “Hey, if you …” I remember I’m on a call with Tom, he goes, “What are you doing?” I go, “You know I’m hanging with the family.” I go, “What are you doing?” He goes, “I’m planning out my week, I’m sure you’re going to be doing it soon.” I’m like, “Yeah, I sure will.” You know what I love them because he just so leads by example. What is your Sunday uh routine of review and planning? Can you take us through what you’re looking at, what your, you know like how you’re getting your weeks setup because I know this and you do to and everyone who is listening, the more time you spend planning, the less time you have to spend in implementation, okay. In fact, I heard the figure that every minute you spend planning appropriately, you save seven minutes in implementation from our good friend Brian Tracy. So what is that process for planning out the week, how do you do it, how can we do it? So I’m going to call them, my assistant is going to drop by. You know how do we, how do we create raving fans, we have complete control over that thanks to you and Tom, you know and Debby and Christine and many people for years, I have the language to interact with my clients. It doesn’t always has to be me. Right, so again, raving fans, so my assistant can call, even though I talked to someone on Monday and remember, everything I’m telling you ties to the calendar because as these things are going through my brain, I am calendaring them out. It’s not a philosophical “Uh you know what [inaudible 00:25:14] seem stressed out, we really need to talk to him two or three times.” No, it’s, “Okay, Eileen, call Bill on Monday, Sandy called Bill on Wednesday you know, uh Grace called Bill on Friday.” Right, it’s it’s scheduled. It’s intentional. The other thing is I’m really clear with myself about what did I waste time on? What did I waste time on last week because by God I’m not going to do it again. ER: And I’ve gotten you know better and better at that. Um, so yeah it it creates a to do list. I try not to bother my admin um on the weekends and be respectful. I cannot tell you how much I use my notes in my phone to delegate. And uh, one of the takeaways from this call, I would say every agent out there, when you’re driving around, when you’re in the middle of something and all of a sudden you have that inspiration of what you have to do on your team or with your client, you do not go off track to pursue that inspiration, right? I know we are artists, don’t take your phone, dictate it into your notes, put your phone down and get back to your prospecting. BP: Awesome. I love it. So I got a couple of things here, so stick them, you block out, like if I’m, if I’m an agent that’s selling 7, 8, 10 homes a year, I’m probably going to need what like an hour, about like 30 minutes to an hour, is that an appropriate amount of time, do you think? ER: Absolutely, if you’re an agent that’s selling seven or eight homes a year and you want to durable, triple and quadruple that which you certainly can with the you know coaching and mentoring that you are getting with this company, uh, I think some of that Sunday time has to be about not sitting on your calendar, saying “Okay, I’m going to have my prospecting time from 9 to 12 every day.” No no no, who are you going to call from 9 to 12, get those phone numbers ready, get those names ready. “Oh, you’re going to go out knock one day, really what are you going take?” “Are you going to take his estimates, are you going to take a just listed, just sold,” I’m fine if you just take your smile and your business card. But, you need to clear on your calendar what you’re going to do. BP: Excellent, so the, so it’s, here’s what am I going to get rid of, okay, it’s um you know when clients need an additional touch, they need that to create that raving fan uh experience. And what am I going to do this week to generate business and getting all of that set from a lead generation strategy or even a marketing strategy for that week, is that correct? ER: Exactly, 100% everything goes in there. Everything goes in the schedule and when I say everything, do not become like some of my folks who know I love them dearly, some of my coaching clients, like, you know micromanage to the second. That’s not what I’m saying. I’m saying your calendar needs to be a picture of your priorities and it needs to be a leg of your trip. Next week needs to be part of your GPS that gets you to the end of 2015. So when you look at it, when you’re done tonight, when you are done next Sunday looking at it, is it congruent with your goals and if it’s not you better spend another hour on it. BP: So Eileen, one of the things that you just touched on here and I know it’s totally off-topic, but I’m going to throw it in here because I think it’s one of your, one of your incredible strengths. Um, you are just a pro at getting, having people experience incredible customer service. They come back again and again. They choose to work with you, your team has built an incredible referral based business. Now, granted you guys are still out, prospecting, getting into the farms, calling expireds, doing all of these other pieces that others may not be doing. Can you tell us, could you give us like two or three great tips that we could do right away that would really create ama- amazing experience for our existing clients that we either have on our contract or that we have that are active listings right now? t because I’m pitching what you are teaching, but it’s because I believe in what you are teaching. So much of doing unexpected is language. It’s critical when that client is really upset about something and something’s gone wrong with with, I’m so frustrated, I can’t even imagine how you must be feeling. You are in rapport, right. So those things when the customer feels, this this is something I tell my coaching clients and my team all the time. We think about the the presentation table, kind of like you and I are right now, even though I think everybody will see us side-to-side, you are there, I’m here, right. We are across the table from each other. Anytime we are trying to connect or deliver great customer service, your mindset needs to be that you are emotionally getting up and walking around the table and sitting next to them instead of across from them. It’s not that you are not a professional, you use, you show how much of a professional you are though with your knowledge and with the ability to be of service. Not sitting there, being cocky and saying “Well, you don’t understand,” which we’ve seen agents do. We have agents on the other side of a deal do that to us, so raving fans, great customer service starts with listening, starts with empathy and then can you do something about it, whatever the problem is can you help them? Sometimes, they just need to be heard. That’s the, 90% of the time, if your client feels heard, you are delivering great customer service. BP: Excellent, I love it. Okay, so, um, so customer service is all about making sure that they know we’re on their side, making sure they know their heard. Is there anything that you guys do the like, extra, any special tips that you can give them? Any type of little secrets? I know we don’t want to give away all the secrets, but any secrets that you guys have done in the past or things that you found how worked extremely well in terms of having clients go, “Wow.” And it creates that wow factor for them? ER: I mean we do, you know some of the old things are the best things. We do drop bys. We uh, we we’re pretty social in our community because we are geo farmers, so there’s a lot of crossover between business and social and being out in the community. And again, I am committed to awareness, so we’ll be out in the farm and there’ll be a past client or an acquaintance or a lead at another table that you know that one of my team members and I are out having dinner. And we don’t see anything, no fuss, no anything and we will pick up the tab. Uh, it can be $20 at breakfast. It’s not about a big grandiose gesture, it’s about having the mindset that I’m working for ways to help you. Now, I have, I have people I work for that are CEOs or drivers and you know great customer service with them has nothing to do with warm and fussy. It’s all about efficiency, not bothering them. They love that I drive information to them without taking up their time. That’s how I deliver a great customer service to those folks. So I mean it’s, it all comes back. It’s, I’m noticing it all comes back to that Sunday planning a little bit, doesn’t it that Sunday planning and that morning planning? ER: Absolutely because it doesn’t happen by accident. It’s um, Sunday planning is intention in action. BP: Um, I like that. Sunday is intention in action because it gets you in action. Okay, one last thing here because I know we’re running down on time, how important is it, if we’re going to keep ourselves moving forward, when others stop and you probably, here’s the great thing, everyone that’s listing right now, your competition is beginning to experience the same thing that you are. They’re beginning to hit that resistance point, which means that your level of competition will begin to drop because the fact that there is fear people out there going after the business. 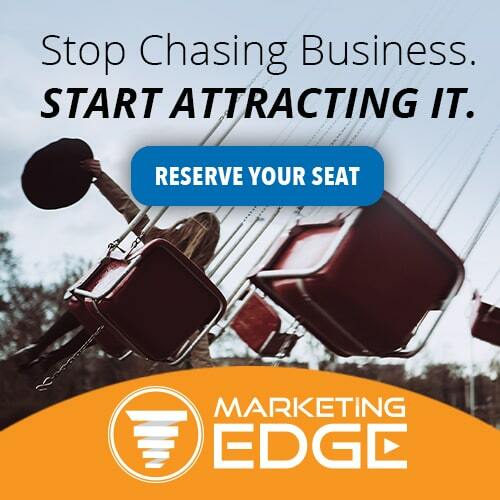 So what that means is this, if you can keep yourself moving forward into February, into March, into April, when everyone else’s stopped, it gives you the opportunity to get more of, bigger piece of the pie to gain market share. So Eileen, one last thing here, how important is it this whole concept of looking for successes, identifying what we’re doing right , um, you know that that whole concept because I’ve heard it before that people that succeeded you know they focus on what works right, people that fail, they put their attention on all their failures that they’ve actually had uh in the last day, week, month, etc. How critical do you think that is for yourself, for your team, for the people that you coach? ER: I think it’s everything. I think looking at what you are doing, evaluating, everything that you and I are talking about and we know it, it’s all linked together, right. So it’s starting with those foundations of calendar and mindset and prospecting and then inspecting what you would expect from yourself, working with your coach to decide what’s the slight, the slight adjustment that’s going to make a significant difference in your production and the quality of your business, your day, in your life, everything. You have to look at it, you have to. That’s why sometimes when we get busy and we’re growing, we get on the hamster wheel and we’re, “Go, go, go.” You’ve got to carve out a little bit of time every single week to look at that because that is what builds the consistency that Bill that you’re talking to everybody about, right. It’s like raise the bar, now be consistent, now raise the bar again. That doesn’t happen by accident. It happens because you’re looking at it and you’re clear with what needs to be done, not just for the next 11 months, but for the next 72 hours and for the next seven days. efully all the, all the listeners, all the great listeners out there are recognizing this as well too, is that planning isn’t something that you do once and put it aside. BP: Like Happy New Year, Happy New Year, Happy New Year, day after day after day, versus a big, something that happens once out of 365 days. BP: Okay, so anything else that you want to leave with them, like is there any other bit of advice, because I know that we’ve we had three key things. Number one was the importance of that that that morning routine, the ritual, the affirmations the 10-10-5 that you talked about, reviewing the goals. Number two was that Sunday planning, the critical aspect of doing the Sunday planning, having that in place so that it’s something that that resets every single week and gets your focus, gets your, gets you present to what needs to take place. Uh, we talked a little bit, number three was how can we bring that great customer service, how do we keep growing and providing customers with that wow. Um, anything else you want to give them, any last little bit of advice? ER: Listen to your coach, does that count? BP: It does, yeah, abso- absolutely. ER: Yeah. Everything we said, yeah from, yeah from a coach to my coach, right. ER: I mean I think that alone is very telling. Tom has coaches, you have coaches. I’m a coach. 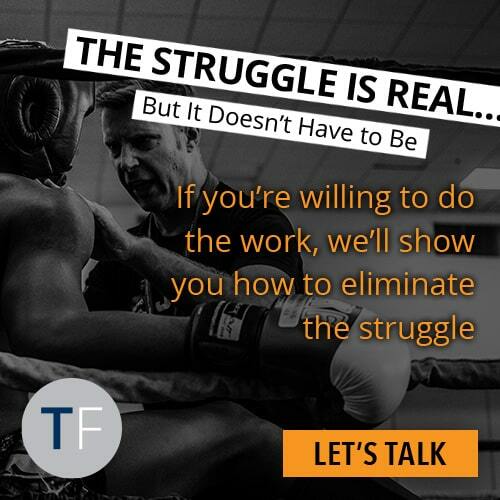 Um, I know how committed I am to my clients to help them grow, but here I am right, every single week, being coached by you because as a lot of them heard me say last week, “I refuse to ever become complacent.” It doesn’t mean I have to go from 125 deals to 500 deals because that may not be what I’m what I’m looking for in life, maybe, maybe not but whatever I’m doing I will not become complacent because what I’ve come to realize is I’m in charge, like I get to live life by design, pun intended. BP: I can see the bouquet at the very back as well too. I love it. Well, Eileen, from me, from Tom, um, from all of the viewers and all of the listeners, I just want to express to you our gratitude, our appreciation for you taking time out. Um, many of you don’t know this is a Sunday, so Eileen took time out on Sunday to do this add Whoo, she just completed a 20 mile bike ride, talk about consistency baby. I love it. I’m and you know to everyone who who listen to this, uh if they want to be able to to reach out to you, if they want to contact you, they’d like to be able to send you referrals uh to the Long Beach area, how would they get ahold of you? ER: Um, probably Facebook is the easiest way with with our platform for anybody to find me. If you and and again in all fairness to my amazing colleagues, uh, a lot of us here in the Long Beach area are with Tom and you have great choice now. Uh, Facebook’s a great way to reach out and also to meet for me and for anybody else who that is reaching um within the Tom Ferry organization to each other on Facebook, please remember to send a message with your friend request because as we grow, our teams, our businesses as Tom continues to grow, you know sometimes I’ll go in and honestly there’ll be a hundred friend requests. 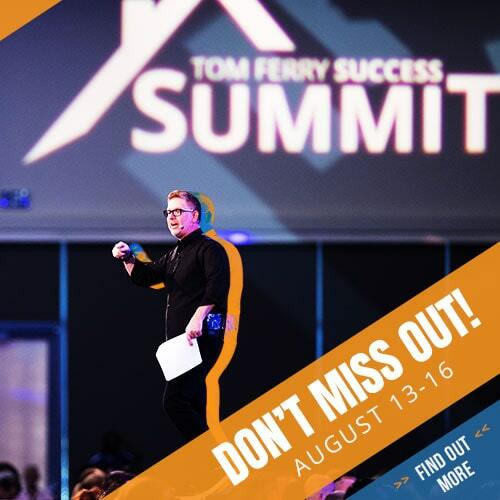 And obviously, if you’re with, associate with Tom Ferry, I know, “Okay, let’s connect.” But take guessing out of it. When you’re trying to build relationship online just a little least takeaway, send a message, even if it’s just a one liner with your friend request, so that I know what the connection is and then we’re we’re forever connected. BP: And they spell your name, spell your name for them. ER: First name is E-I-L-E-E-N, last name is Rivera R-I-V-E-R-A. BP: Awesome Eileen, excellent and for the, for all of you that are listening to this and going, “Gosh you know what, how do I get more information about coaching, how do I get more information about the Tom Ferry organization,” because for some of you, this may be your first exposure, please go to TomFerry.com. You can sign up for free uh coaching call with one of our great in house coaches or they can answer any questions for you. You can also go to TomFerry.com to see the schedule of events that are coming up because I know we’re coming to your area soon um or you can call us at 888 866 3377 that’s 888 866 3377. Hey guys from me hashtag realsuccess. If you got some good stuff out of this, be sure to comment, be sure to like. We love to hear your feedback, hashtag twitter us at hashtag realsuccess or hashtag tomferry. Guys, until our next call, keep your mind focused on the future, keep your actions right here in the present, keep on moving forward and make your life an epic adventure. This is Coach Bill Pipes signing off with Eileen Rivera, the amazing. Thank you Eileen, thank you guys all for being here today. BP: Yeah thank you and I look forward to speaking to you all again at our next REal Success Interview. Have a powerful powerful couple of weeks. Happy new year again, bye bye.